Welcome to join a Trend safari tailored for you! 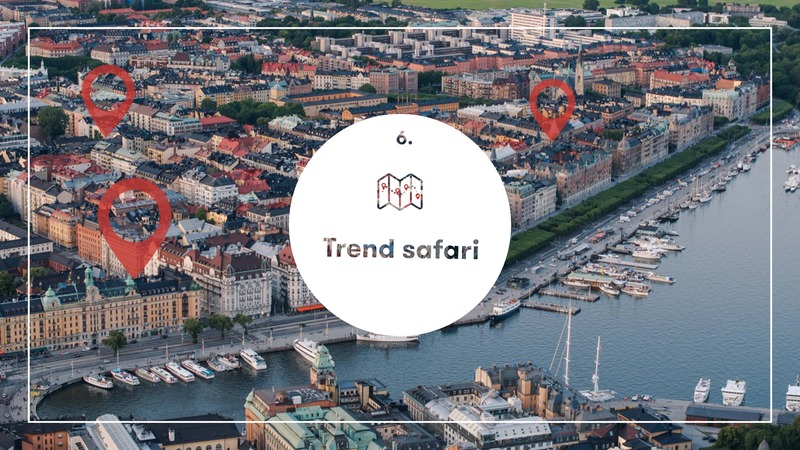 In our Trend safari format, we will guide our clients on an inspirational tour in Stockholm to see recent trends and concepts relevant to their field of business. All Trend safaris are custom made based on the clients needs and wishes, and based on our consumer insights we will create a tour that is relevant to their target group and/or product offering. Thanks to our deep understanding of Swedish consumers and knowing that Stockholm is ahead of many other cities on picking up trends, we believe this is a good place to start any project. Wanna know more and book a safari? Call us!